Armed with a dream to work in the medical field, Grace is working very hard but her situation is making it tough for her to be successful. She says ‘whenever I hear students will be sent to collect fees I know I am top of the list’ Her family is of little financial means and she is also forced to engage as a day laborer during school breaks to raise money for her basic needs and upkeep back at school. Her grades in school are a constant A despite missing most of the material in classroom. 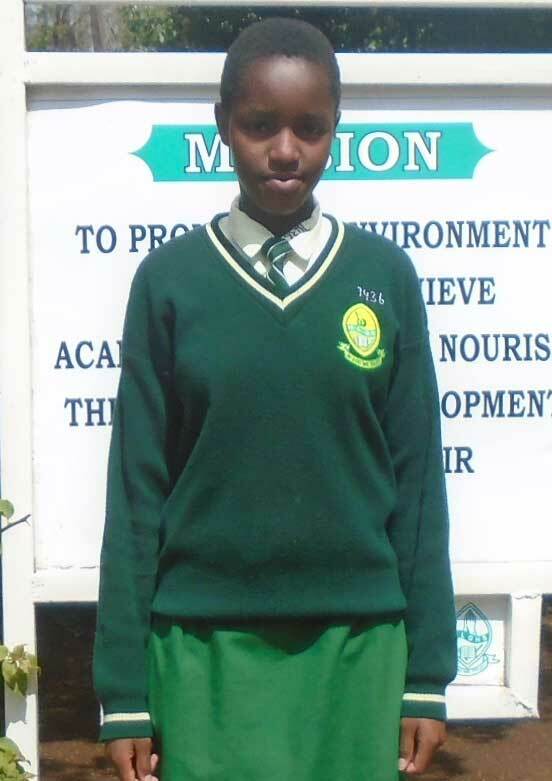 Grace was pulled out of school earlier this year by her dad, due to lack of fees. Her uncontrollable tears are overwhelming and her hard work in school feels like a waste. She is the brightest and smartest in her extended family and the first to attend high school. However, sustaining the same is a great challenge and she needs all the help she can get to keep her dream actualized. Grace is a very strong girl and smart. She has a drive to keep her motivated to face the future. She deserves the best she can get and this will only be realized if she is supported. She has a strong drive to get people out of poverty as it pains her to go unnoticed despite being this smart. She has therefore taken to training little children in her church as a Sunday school trainer. If supported, Grace could do much more with both her academic inclination and her passion to reach out to the needy.